I know some people won't like that Laneige included fragrance in this product, but I personally really like the Sleepscent. It's a very pretty, inoffensive floral, and almost lavender-like in the way that it makes me feel relaxed and ready to fall asleep. In the morning, my skin feels nicely hydrated and soft. 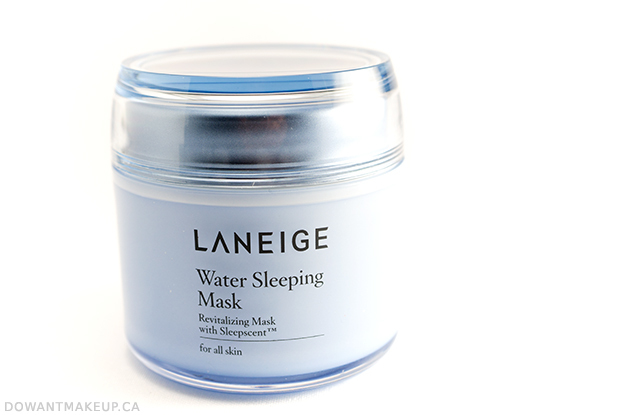 I took Water Sleeping Mask in a small jar to apply on my flight to Hawaii, and I felt like it really helped hydrate my skin against the dry cabin air. Plus the soothing scent helped me relax just a bit more in my cramped economy seat! I took an overnight flight back to Vancouver and was so tired I nodded off without applying this; my skin was noticeably drier and almost on the verge of an eczema flareup when I got home D: Lesson learned: put on my in-flight skin care right away, before I get a chance to fall asleep. 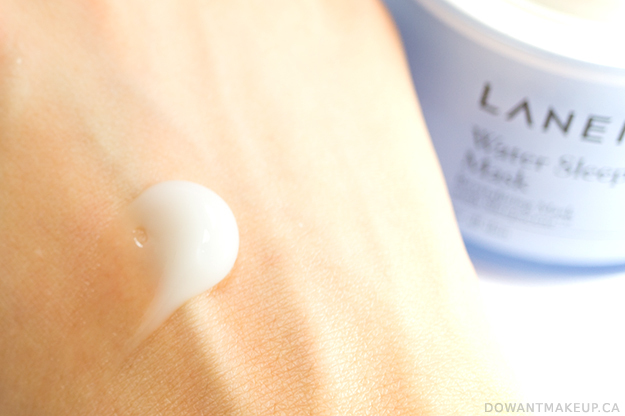 The ingredients list includes humectants such as glycerin and trehalose to attract and bind water to the skin. I couldn't find much information about the plant extract and amino acid ingredients in terms of topical skin care, and I'm not sure of the effectiveness of any antioxidants, given the jar packaging. Interestingly enough, I did find a study abstract indicating that Salicornia herbacea extract may have antioxidative and whitening effects though. 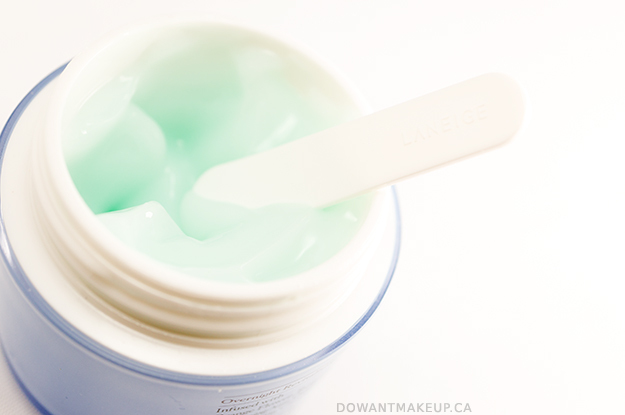 Overall, I like Laneige Water Sleeping Mask as part of a pre-bedtime pampering to hydrate skin. This works as a summer moisturizer for normal skin or year-round if you're a bit oily, and I really like it for airplane flights. Check it out at Sephora and give it a whiff -- you might just fall in love with the scent like I did.